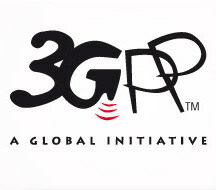 3GPP The Third Generation Partnership Project (3GPP) unites seven of the world’s telecommunications standard development organizations (SDOs) to provide a stable environment in which to define the open standards underpinning current and future mobile cellular networks. During September 3GPP is organising its plenary meeting at the Gold Coast to be attended by delegates from around the globe. We were offered a unique opportunity to have some of the 3GPP leadership come to Melbourne for a Government and Industry briefing, presentations and open forum to follow their Gold Coast plenary. This is the first time 3GPP has participated in such an event in Australia, therefore it presents a unique opportunity to hear directly from the Global 3GPP leadership about the current status and strategic direction for 3GPP standards, including future 5G plans. 3GPP leadership team includes Adrian Scrase, ETSI CTO, Georg Mayer, Chairman 3GPP Core Network and Terminals (CT, Balazs Bertenyi, Chairman 3GPP Radio Access Networks (RAN) Chairman, and Tero Pesonen, Chairman TCCA/CCBG/3GPP Market Partner; and will be joined by local speakers from Melbourne University, TCCA and ARCIA. This is a forum organised by the Tetra Critical Communications Association and University of Melbourne’s Centre for Disaster Management and Public Safety. TelSoc is considered an event partner organisation and is able to offer its financial members a discount on registration (see below).